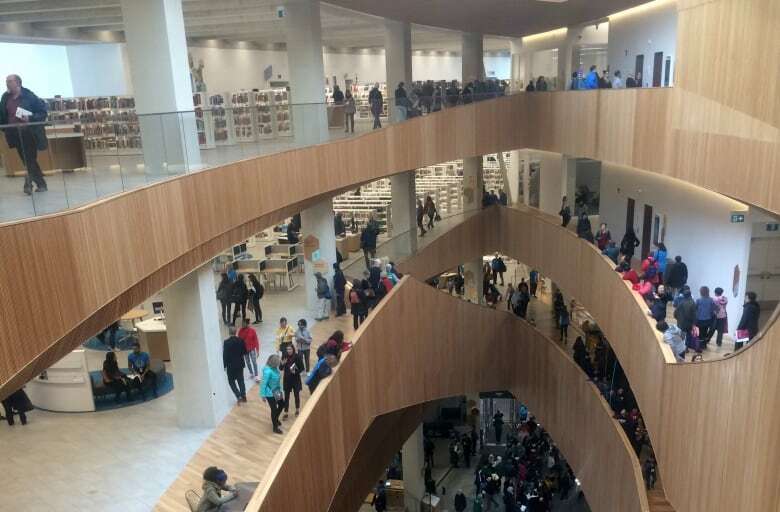 It wasn't cheap but it's about a lot more than books and a quiet place to sit, the top boss says of Calgary's new Central Library, which opened Thursday morning. 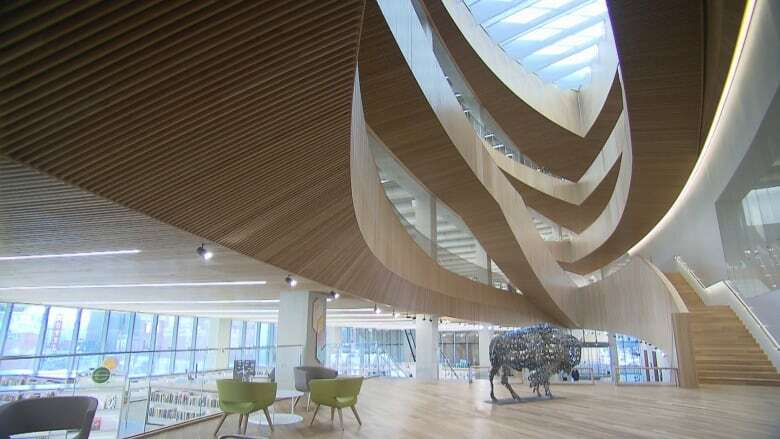 It wasn't cheap but it's about a lot more than books and a quiet place to sit, the top boss says of Calgary's new Central Library, which opened Thursday. 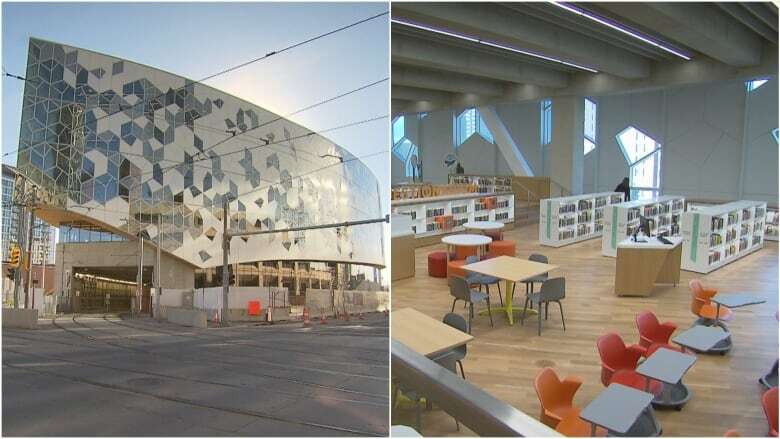 "If you think libraries are buildings with books, man, you are really, really off base," Calgary Public Library CEO Bill Ptacek told CBC News. 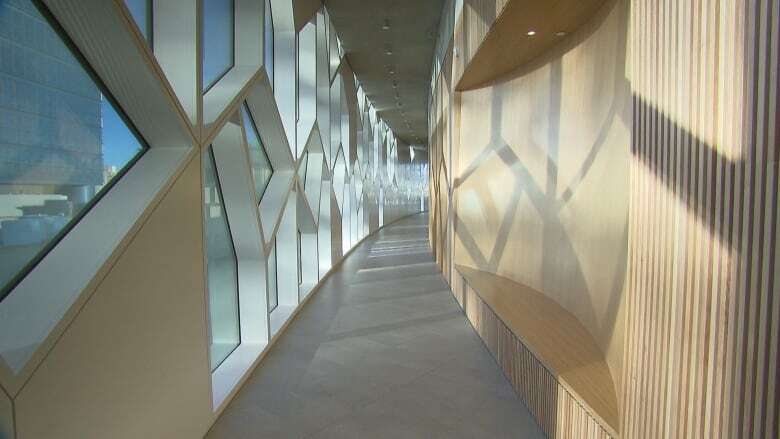 The project was nearly 14 years in the making, with the library originally dreamed up in 2004 under former Calgary mayor Dave Bronconnier, who was one of the hundreds of Calgarians to tour the newly opened building. Seeing the library finally open was everything Bronconnier hoped it would be, and so much more, he said. "Just look at the building, the beautiful architecture, how it works in seamlessly right over the LRT system and into the revitalization of the East Village," he said. "It's something that many, many, many Calgarians have worked for an awfully long time to see this vision turned into a reality." The East Village-based project cost about $245 million for the building and related features. Construction on the building began in the fall of 2015 after the LRT line was encapsulated underneath the site. "This site was considered the worst site in Calgary, so it was a barrier to East Village. You had to transcend the site to get into East Village and it had a train going through it," said Coun. Druh Farrell, who first took office in Calgary in 2001. "So we were thinking, 'why would we pick this site?' But it really drove the design, and out of all these happy accidents came an extraordinary building." Mayor Naheed Nenshi told the Calgary Eyeopener on Thursday the library project actually came in $10 million under budget. Craig Dykers, one of the Snøhetta architects who partnered with the Canadian firm Dialog to build the project, said libraries are about more than just book lending or providing a desk. He said, they are inspirational places. "[They are] places where people can aspire to learn new things and to meet people in a new way, in a way that is special. So as you enter the library, this grand space leads you up to the sky. It allows you to see everything in the library all at once so you feel good about yourself. "The forms are very dynamic so you feel energized. The steps tell you that you can activate your body. All of that is driving the experience," he said. ​The excitement for the opening of the building went beyond Calgary, as the project was listed last year among Architectural Digest's 12 most anticipated buildings of 2018. 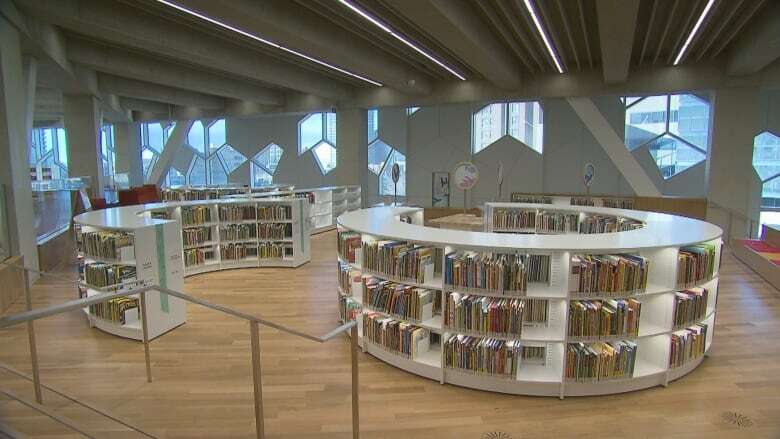 "Ultimately, what this says to me is that we are a place that doesn't dream small, we are allergic to small dreams, that we will and can be the best in the world and compete with the best in the world," said Nenshi, who saw the completed library for the first time with the rest of Calgary at the grand opening. "The most important thing is this place is free and open to everyone." There are four days of festivities planned to mark the opening, which kicked off Thursday at 10 a.m. with an opening ceremony, tours and live music. Col. Chris Hadﬁeld — astronaut, engineer, pilot and musician — landed at 7 p.m. to assist. 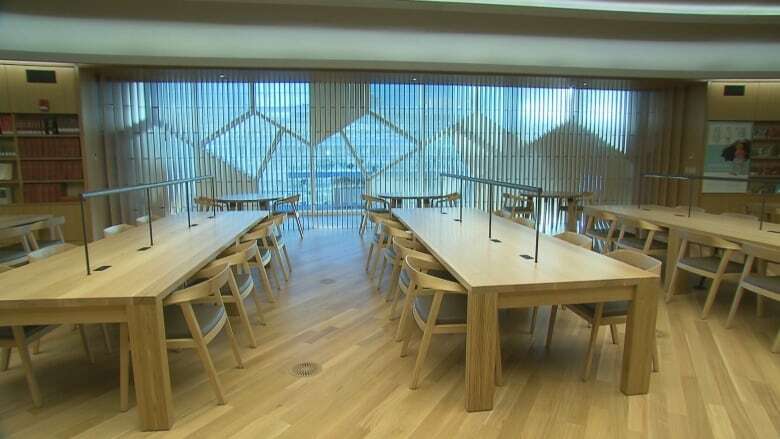 "What a treat to be here, it's got that new library smell," he said. "The beautiful part is just walking up the street and seeing the prow of this building, the big, shiny angular edge of it sticking out into the street, you get a sense of something different. "And then integrated with the architecture, it's just beautiful. And like a library, it should be not just a place to store things, but a place that inspires you, a place that makes you think of stuff you didn't think before." It all wraps with a weekend of family fun including free programming, music and craft stations. "This is something that is going to be important for generations to come," Ptacek said. Dykers said the new building respects both the future and the past. "The library of the future is as much about the library of the past as it ever has been. Ancient libraries were places where people talked a lot, they got together, moved around and shared their ideas about the world with other people," he said. "It wasn't just about sitting and finding a quiet place to read, although that is also important and we have many places like that throughout the building. So it's a balance of energized activity and interaction with introspection and careful research." With files from Dave Rae and Erin Collins.